Finally getting to a point where you feel confident enough to knit sweaters is so exciting! I recommend all beginning knitters have no fear about knitting sweaters – it is so much fun! At some point in our sweater knitting, we all come across a pattern where we need to bind off in the middle of a row. This commonly happens when we reach our necklines (wohoooo- a sign you are almost done!). It can also be used as a design element in a sweater. Aneto is a beautiful example of what it can look like when we bind off in the middle of a sweater. Aneto binds off in the center, shaping a circular hole right in the middle! After the body of the sweater is completed, a crocheted piece is made and attached to fill the hole. 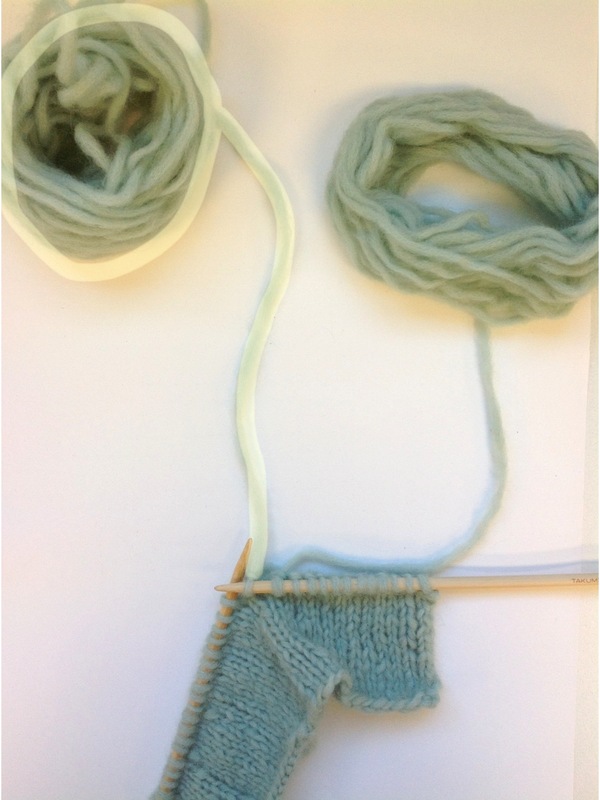 Continue knitting each side with its own ball of yarn. 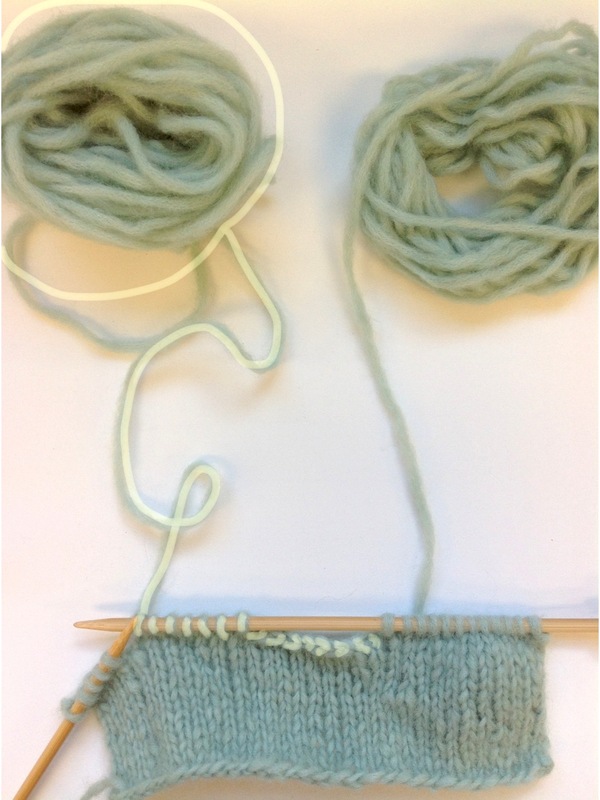 Bind off each side following your pattern. I hope this helps the next time you have to join a new ball of yarn or bind off in the middle of a row within your knitting patterns. Emily, this came right on time. I am in the process of knitting my very first sweater and I am almost done! I just am about to deal with the neck opening and I am glad that you have made it crystal clear for me. As always, job well done explaining this technique! This is so clear, and totally de-mystifys this instruction. I have been stockpiling yarns for several sweaters, but haven’t started any — partly due to instructions like this! I’m so happy this helped! This actually means that when you knit the 4th stitch you pass the 3rd stitch over and this counts as as your first BO stitch. Continue until you have bound of 14. 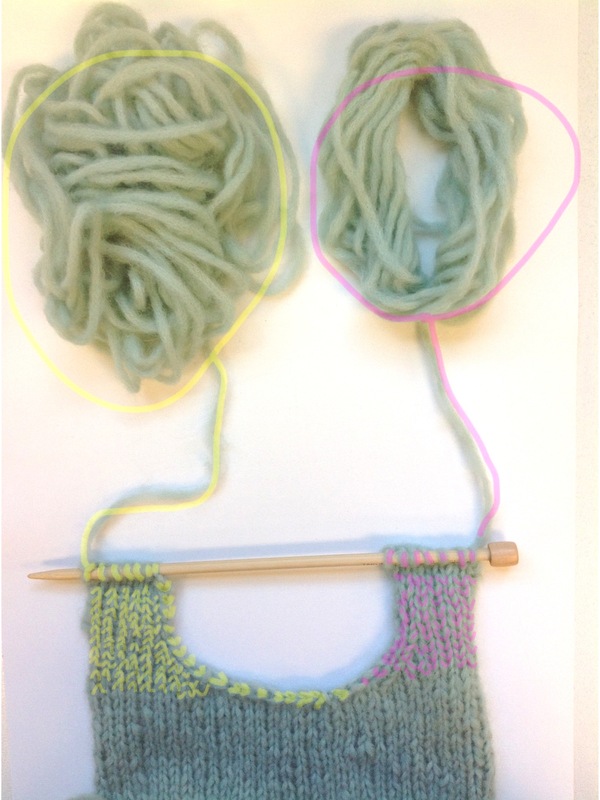 You should then have 2 knit stitches on either end of your BO stitches between your markers. I hope this helps – Good luck with your knitting! Oh yes, I’m knitting mitts and the thumb increase area has given me fits – until now. One more question, please. On the ws, when I get to the thumb opening that’s now BO, I’m to do some increases. What is the best way to avoid a little hole at the beginning st? So helpful! The sweater in the example is so lovely. Do you have the pattern for it? My pattern says knit 30 turn and bind off 6 how do I do that? Hmmm I don’t want to misguide you so I will refer you to pattern support for help – patternsupport@berroco.com. They are great and can look over the Berroco pattern with you. What’s up, yup this piece of writing is actually nice and I have learned lot of things from it regarding blogging. I believe what you would do in this case is knit until there are five stitches left on your needle. Knit one, knit the next stitch, and pass the stitch before over, beginning the bind off you did at the beginning of your row. Work across the five stitches. When you reach your last stitch you will need to break your yarn and pull through. Then, leaving a tail of yarn you can reattach where needed and continue following your pattern. Hi im knitting borroco beagle sweater that uses this technique. Could you go over the cast off . i am wondering if i should cast off in the seed stitch I have been working on. Work____ stitches. Attach another ball of yarn cast of _____stitches and work to end of row.working both sides at once with seperate hanks cast off 4 stitches at each neck edge once.3 stitches once. 2 stitches once. Then dec one stitch on rt side once. My question is if I decrease always on the rt side . this would work for one side but would need to carry the yarn over the back of work on other side. How did you do this on your piece. I can understand the confusion—the key is the phrase that says “cast off stitches at EACH NECK EDGE.” So when you are at the neck edges, that’s where you’ll work the bind off stitches. On the right side of the neck, you will be casting off the stitches on the RS of the work, but on the left side of the neck, you’ll need to work them on the WS. If you have more questions about this, the best way to get answers is to email us at patternsupport@berroco.com. Hope you enjoy knitting Beagle! I’m still a little confused. Exactly where do you join the new ball of yarn? Do you attach it to the stitch nearest the tip of the needle, or to the yarn below the stitch? Please explain. Update: I think that I joined the new yarn correctly, but I’m still stuck. I’ve completed the following: Bind of 5 sts, k until there are 12 sts on RH needle. I joined another skein of yarn at the base of the st closest to the tip of the needle and bound off the 24 sts then knitted to the end. Where I’m stuck at is Working both sides at once. This is my first time knitting a sweater that wasn’t for my dog. Can you please walk me through the procedures? Or is there a video that I can watch and follow along with? Sounds like you’re getting there! Without knowing which pattern you’re using, I’m not sure I can help much. If you email patternsupport@berroco.com, someone will be able to better help you, but please be sure to let us know the name of the pattern. Love these instructions, BUT … where I join the new yarn, there is a rather large hole at the spot where I first change yarn (i.e. the spot where I am working left with one ball of yarn, and right where I am using the other). Without seeing your project, it’s hard to say exactly what can fix it, but make sure that you’re pulling the tail of the new ball of yarn tight once you finish that row to snug up any looseness in the stitches. Thank you. I forgot to mention that the project is a sweater. 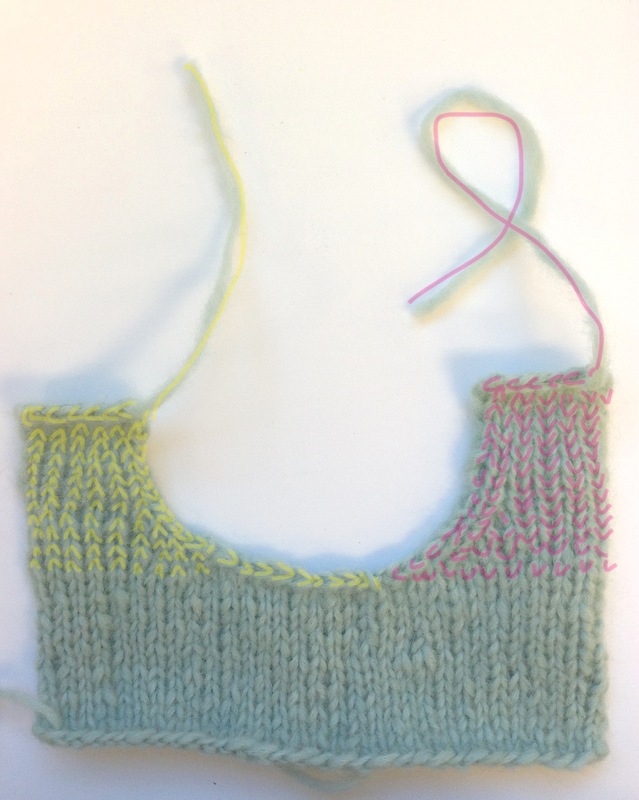 The gap is at the back neck area…where the “old” yarn will finish the right shoulder and the “new” yarn binds off the back neck area and then finishes the left shoulder. The hole is between the bind-off area and where the old yarn continues in the opposite direction. As an aside, this is my first sweater and it is the funniest looking thing you may have ever seen. Had trouble with the gauge and had to go from the specified needle size (US 7) to size US 4. I’m still working on the back and I am afraid my gauge is still off cuz I think I can make a dress out of it now. Ah well … it has been a fun and funny learning experience where I may have bit off more than I can chew. Am determined to finish my sweater/dress! 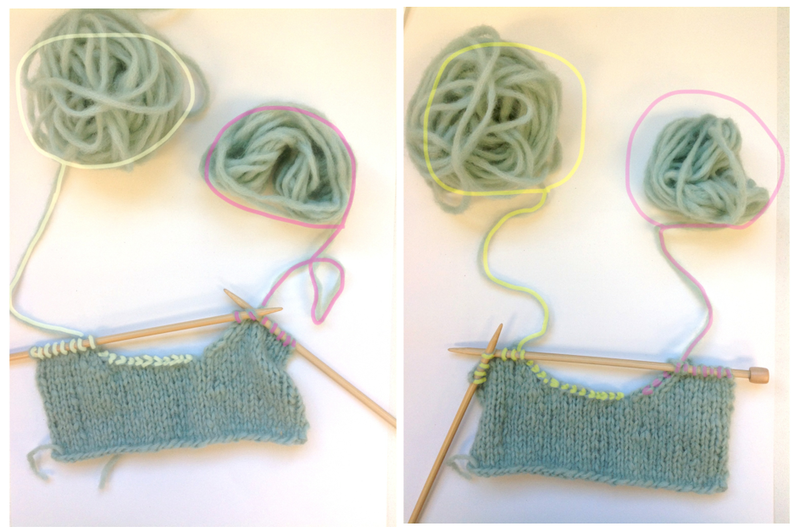 If you haven’t already, try gently tugging on the yarn tails at the join—that might close up that gap. You can also use a yarn needle to sew the hole closed. Are you working an edging at the neck (such as a ribbed collar or something added in finishing)? That will also help hide any gaps. Gauge is always a tricky thing! I usually have to go down a needle size or two as well.